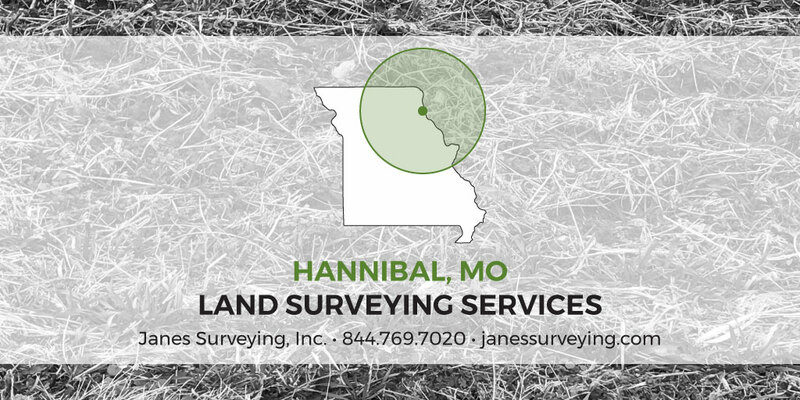 Hannibal, MO Land Surveying – Janes Surveying, Inc.
Hannibal, America’s Home town, is the birthplace of Mark Twain. Nestled next to the Mississippi River, it is a showcase of historic homes and shops. History is important to Hannibal, but so is expansion and growth. As new subdivisions are created and new homes built, the importance of a reliable and experienced land surveyor increases. Land surveying is vital to ensuring property boundaries and lines. The importance of a well executed land survey can never be downplayed. At Janes Surveying, Inc. we pride ourselves in providing efficient, reliable, and thorough surveys to our customers. We are licensed to provide services in the state of Missouri, as well as six other Midwest states. Services we offer to Hannibal, MO include Property Boundary Surveys (farm tracts, town lots, parcel splits), Construction Staking, Subdivision Concepts and Layout, Topographical Surveying, ALTA/ACSM Land Title Surveys, Surveyor’s Real Property Report, Flood Zone Certification and Map Amendments and/or revisions, and Re-Zoning Applications. We provide free project estimates. Call us to request a free quote or to discuss your needs with our team. We’d love to show you how our company can benefit you, whether it’s to provide a survey before you buy land or afterwards.